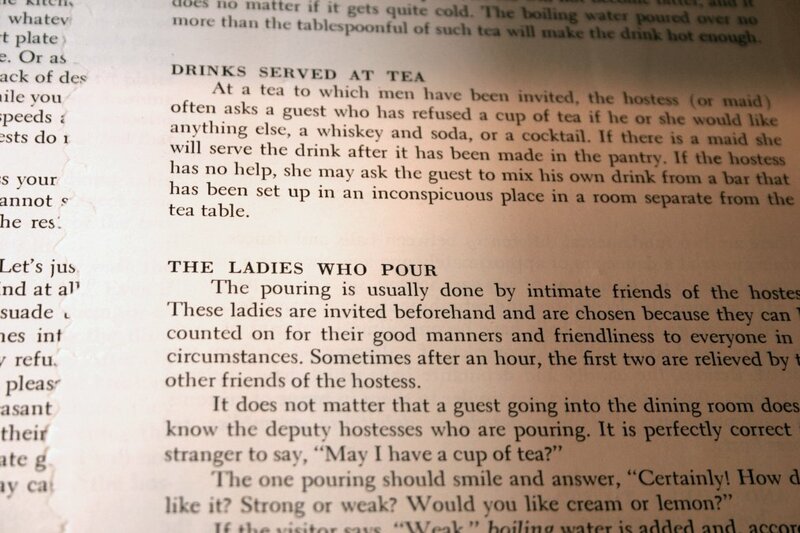 I think it just adds 'a little something nice' to a usually ignored part of the kitchen. 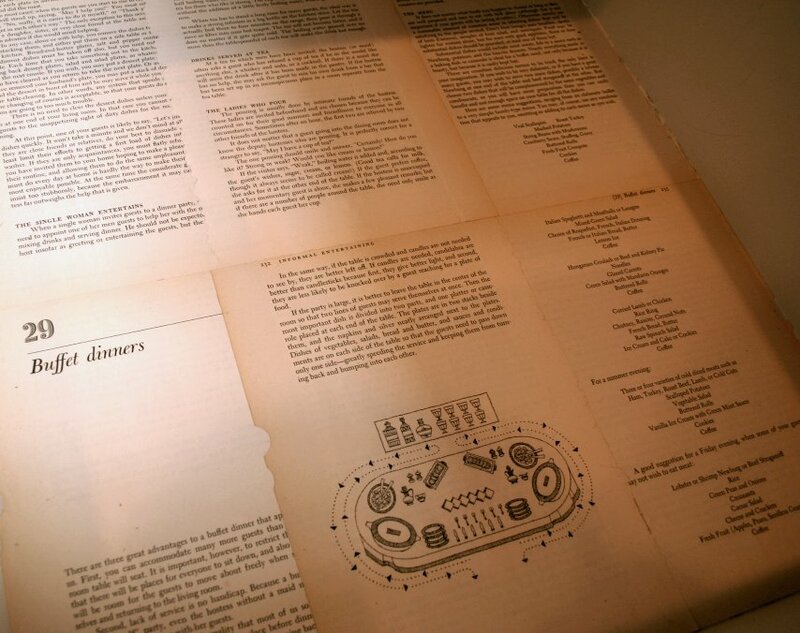 Who knew opening kitchen drawers could be so sweet? Now I kind of wish I didn't have to put anything back in them! I absolutely love your sign, it is beautiful and yes I love anything cupcakes too. The lined drawers are the best idea I have seen for a long time - well done! I love your cupcakes. They would be great because they lppk so good in the kitchen and I could not be tempted to eat them!! I did mean look!! sorry not quite awake I guess. I love it all! How fun!! I love the lined drawers. I want to do this in the kitchen, but we're talking about a renovation so I'll have to wait awhile. What a great idea...it looks wonderful!! I love your sign, too. Congratulations on the opening of your shop!! Love the name! What a brilliant idea -- using book pages to line drawers! I adore that you used an old Emily Post book in the kitchen. As I was reading I was curious how they would be protected from wear and tear. I was going to suggest laminating them, so they could be cleaned without damaging. Your signs are gorgeous. I'm glad you decided to offer your faux deserts as well. You are a woman of many talents and I am in awe of all of them. 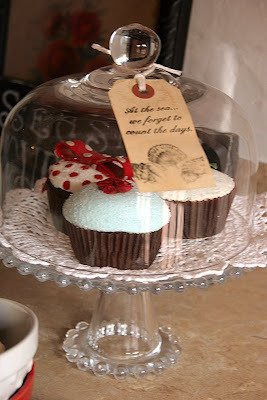 How cute is this idea? I always look forward to seeing what you come up with! 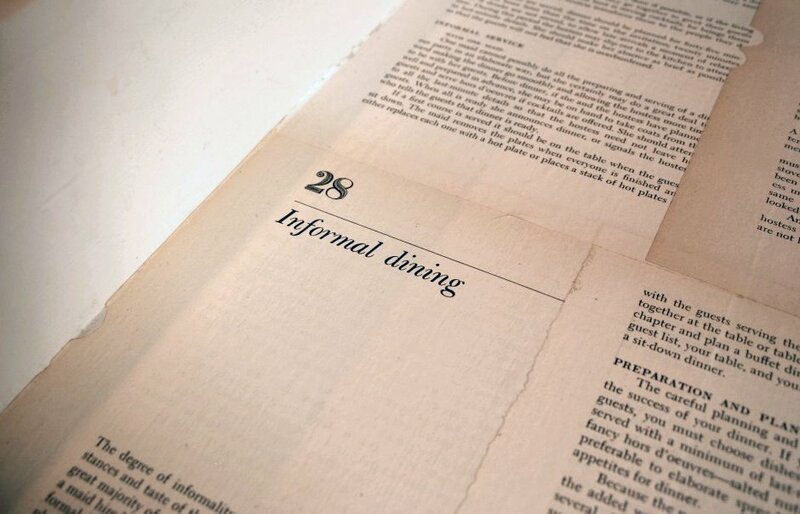 Very clever idea - I have a few of these vintage books and this will be the perfect way to use them. 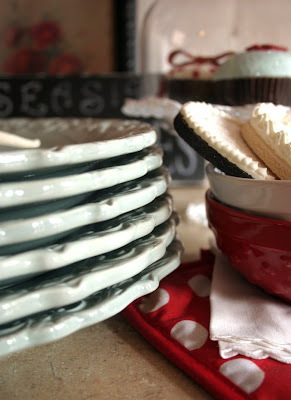 LOVe the red and robins egg blue combo in your kitchen....and the vintage book pages - GENIUS! 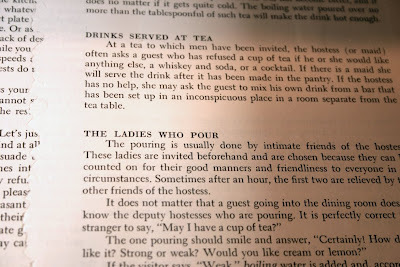 Vintage Emily Post - how awesome! 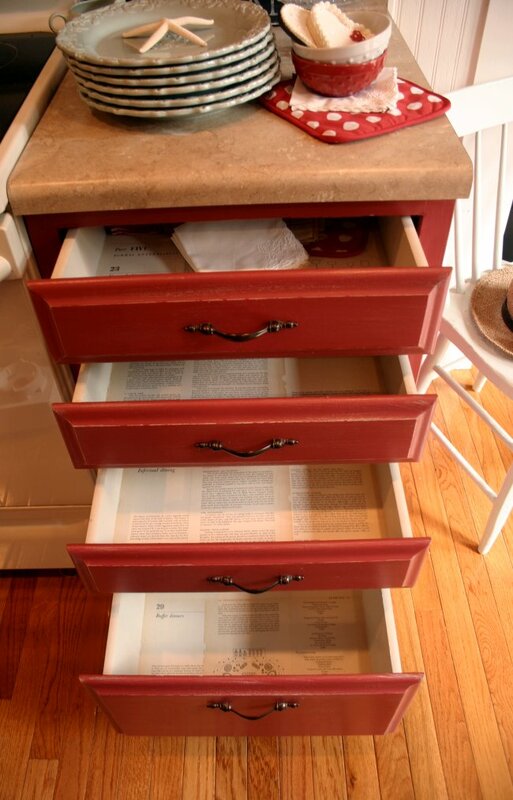 Lining the drawers is such a clever idea. I'm looking for an appropriate book, like yours. What a beautiful post. 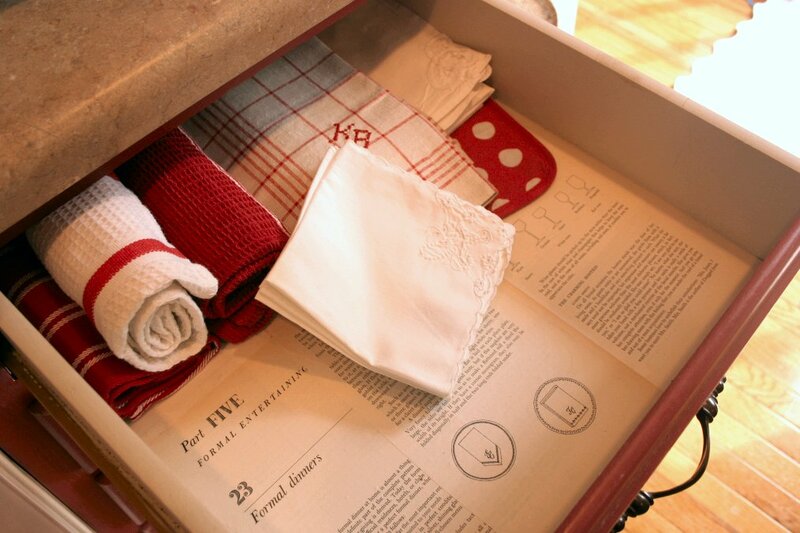 Love the idea for the drawer liners! 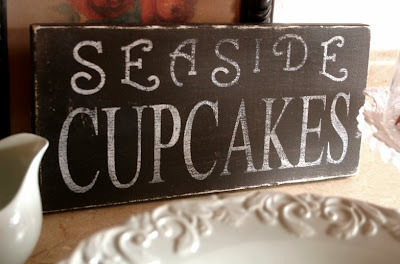 Really fun idea with the drawers, and your signs are lovely. I love this!! 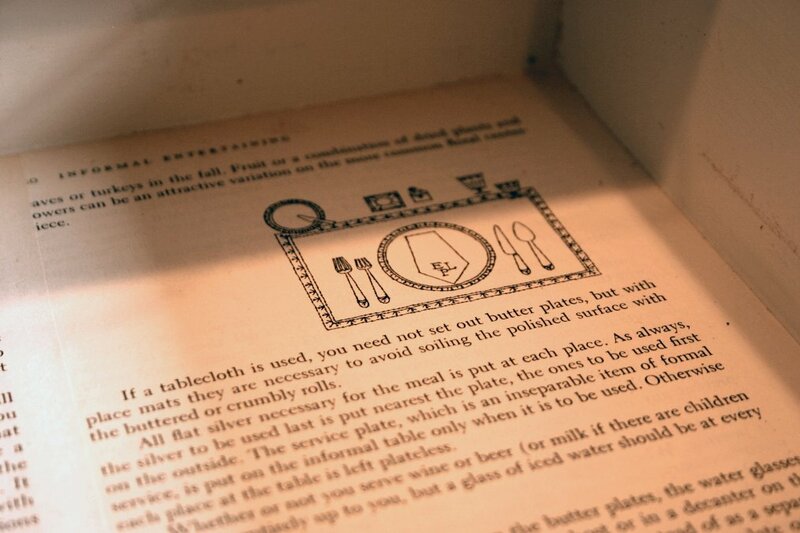 I want to do my cabinets when I have time now with a vintage cooking book. How charming! Oh, I love the sign!! Where has it been..., finally, sea and cupcakes in one sentence... Can you tell? I love the sea and cupcakes too! love, love, love, it all! Hugs and wishes for a weekend filled with happy! 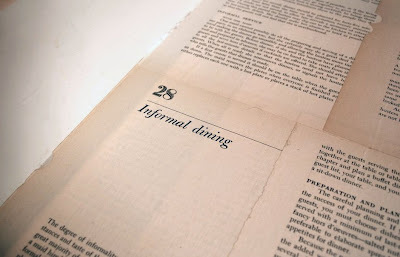 A gorgeous "Feel Good" Blog - love it - thank you for the privilege. Visit me anytime - Jenny @ French A La Beach. Thanks again! This is my first time here. Your etsy shop is wonderful, your kitchen is beautiful... I'll be back often. Thank you, ladies! 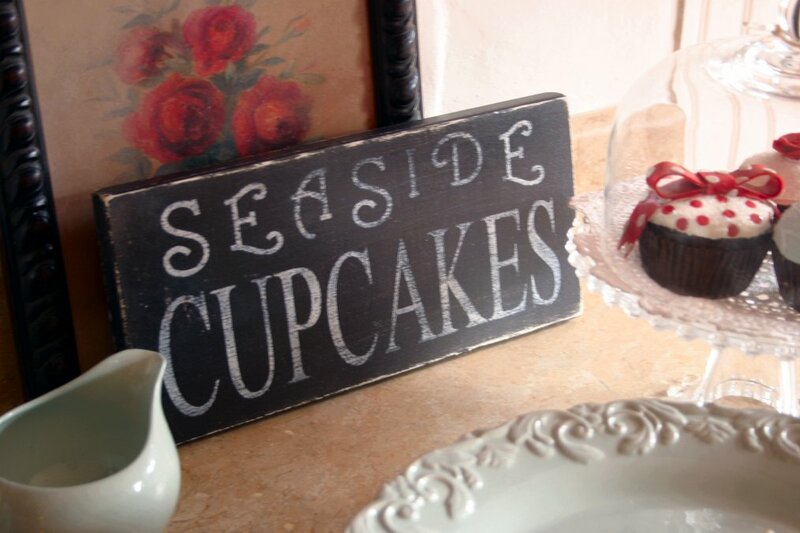 So glad you stopped in... and glad there are others that love cupcakes and the sea as much as I do! What a great idea for lining drawers! 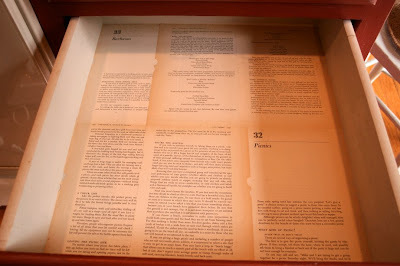 I have rarely liked an idea on a blog as much as I like your drawer liner idea! 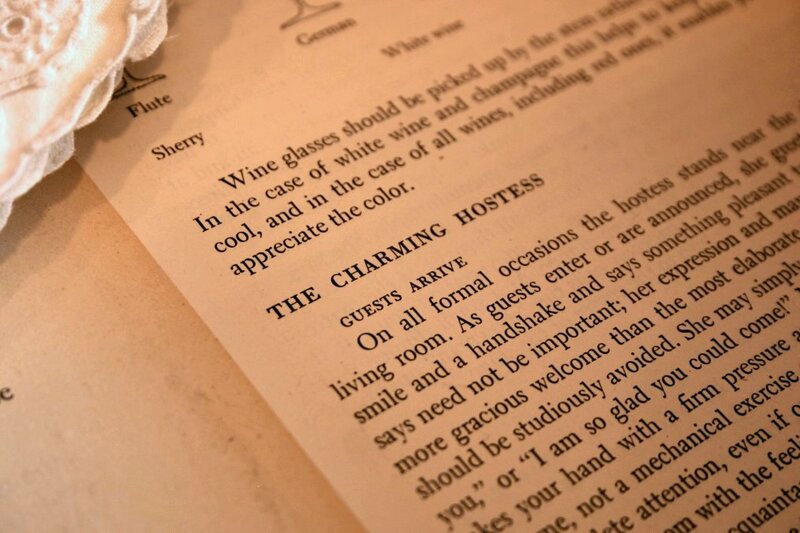 I love books, so I would really enjoy opening my kitchen drawers and seeing vintage books. Wonderful idea! Custom printed photo wallpaper is a way to give your space some real jazz! FAQ / have a question? 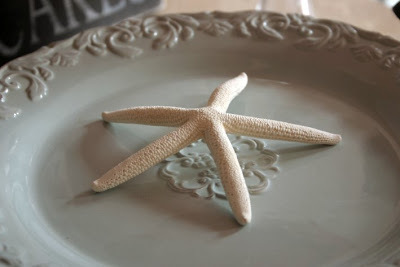 Make Your Own Vintage Art ... With Nail Polish Remover! 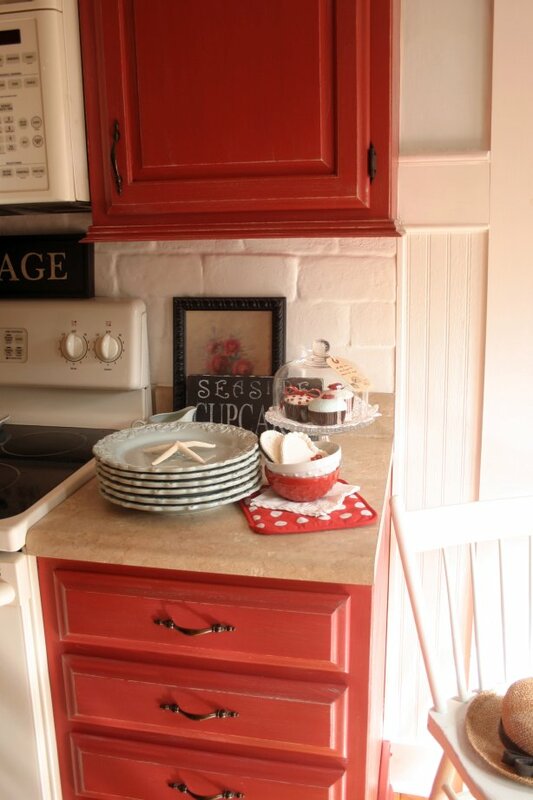 Photos: Red Cottage / Farmhouse "Antique" Kitchen Cabinets *FINALLY* Complete!